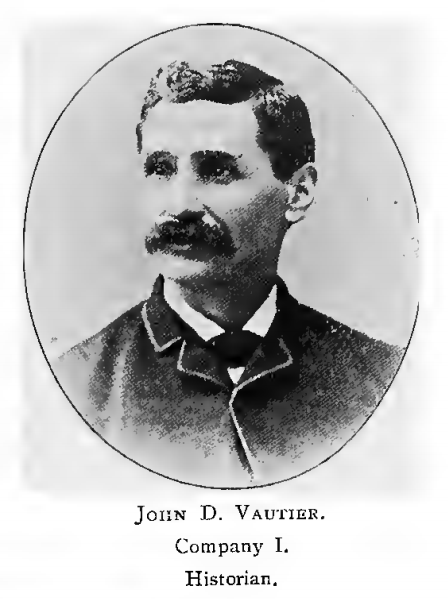 John D. Vautier writes about being wounded at the Battle of Cold Harbor on June 3, 1864 in the very first passage in this set of diary entries. His diary entries take on a dual nature from June 4 through August 13, 1864. The top half of each entry is John’s own, discussing where he was and what he was doing during his convalescence. The bottom half consists of entries taken from Captain Charlie McKnight’s diary, and added later by John to flesh out the regiment’s experience while he was gone. I’ve taken the liberty of clearly separating each entry into its two constituent parts so readers better understand what is going on during the impacted time frame.